IDAHO FALLS, Idaho — Today at 5:05 p.m., the Transient Reactor Test (TREAT) Facility at Idaho National Laboratory (INL) pulsed for a few seconds, subjecting a small capsule of light water reactor fuel to radiation and heat. 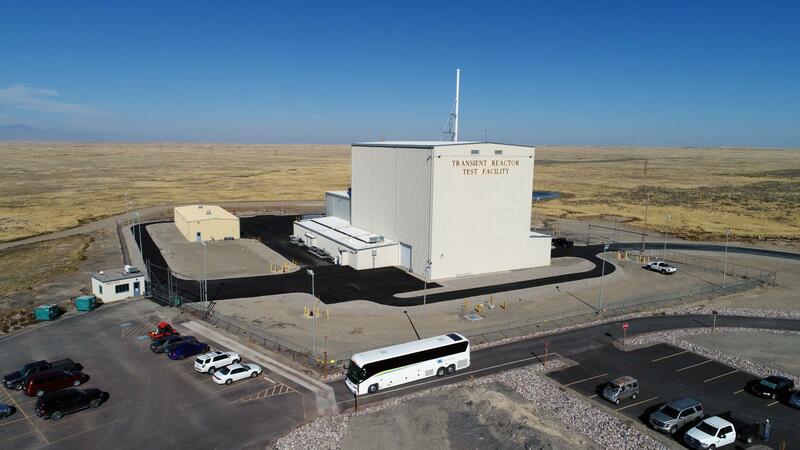 The test marked the return of a capability that is critical to the United States' role in the development of nuclear fuels, for both the existing fleet and a new generation of advanced reactors under design. "Restoring this capability in the U.S. keeps our nation in a leading role to develop advanced nuclear fuels and reactor technologies," said INL Laboratory Director Mark Peters. "Because of that, INL's TREAT facility will once again enable systems that serve the U.S. economy, environment and national security." While other transient test reactors exist in other countries, the United States had been without the capability since 1994, when TREAT was placed on operational standby. Many of the nuclear fuel types currently used in reactors operating in the United States and around the world were tested in TREAT. The goal of transient testing of nuclear fuels is similar to high-impact car crash testing, which has helped the automobile industry make crucial advancements in safety technologies. Exposing fuels to extreme conditions in TREAT helps the nuclear industry develop more resilient and longer lasting fuels. The experiment performed today is part of a series that will culminate in testing of new fuels being developed by the U.S. Department of Energy Office of Nuclear Energy's Accident Tolerant Fuels (ATF) program for use in light water reactors. Data gathered from the experiment will be compared to tests previously conducted at TREAT and other historic research facilities to verify modern experiment protocols and demonstrate performance of instrumentation. This experiment commissioned TREAT's fuel safety research capabilities and paved the way for upcoming tests over the next few weeks in which fuel samples will be exposed to increasing energy levels ramping up to sample melting point. Finally, today's experiment will enable an enhanced understanding and lay the foundation for the next ATF experimental campaign in 2019 that will focus on water-environment testing. TREAT came back online in November when the reactor went critical at low power. INL workers have been making final preparation for the first fuel experiment in the months since. "We weren't going to claim TREAT restart success until we ran the first experiment," said INL's Dan Wachs, who serves as DOE's national technical lead for fuel safety research. INL is one of the U.S. DOE's national laboratories. The laboratory performs work in each of DOE's strategic goal areas: energy, national security, science and environment. INL is the nation's leading center for nuclear energy research and development. Day-to-day management and operation of the laboratory is the responsibility of Battelle Energy Alliance.